In compliance with New York law, under which STC is incorporated, the chapter has a Conflict of Interest Policy to provide guidance to the directors, officers and committee members of the Society for Technical Communication ("the Society") Washington, DC – Baltimore Chapter. At the beginning of each chapter year, at the installation of new chapter officers, and at the changeover of committee managers and members, each covered person must read the conflict of interest policy and sign the form. Chapter directors, officers, committee managers, and committee members are obligated to recognize and disclose ethical, legal, financial, or other conflicts of interest involving the Society, and remove themselves from a position of decision-making authority with respect to any conflict situation involving the Society. 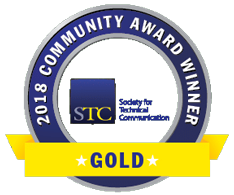 The Society for Technical Communication (STC) provides this website as a service to its members, those interested in the arts and science of technical communication, and to the public, for STC's mission as a 501(c)(3) not-for-profit corporation. STC is not responsible for, and expressly disclaims all liability for, damages of any kind arising out of use, reference to, or reliance on any information contained within the site. While the information contained within the site is periodically updated, no guarantee is given that the information provided in this website is correct, complete, and up-to-date. Although STC's website may include links providing direct access to other Internet resources, including websites, STC has not participated in developing those other sites and does not exert any editorial or other control over those sites. STC is not responsible for the accuracy or content of information contained in these sites. The opinions expressed by contributors to STC community websites are solely those of the individual writers and do not reflect the opinions of the STC, the members of the STC Board or committees, the members of the chapter's Administrative Council, or the individual communities of STC. Links from this site to third-party sites do not constitute an endorsement by STC of the parties or their products and services. The appearance on the website of advertisements and product or service information does not constitute an endorsement by STC, and STC has not investigated the claims made by any advertiser. Reference here to any specific commercial firm, commercial product, process, or service by trade name, trademark, manufacturer, or otherwise, does not show or imply its endorsement, recommendation, or favoring by the STC, the members of the STC Board or committees, the members of the chapter's Administrative Council, the individual communities of STC or the members of those communities. See the Copyrights for this site at the bottom of all pages. 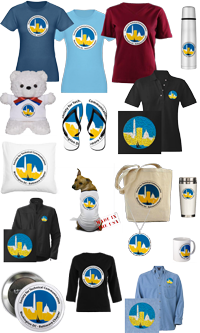 This website, some navigation icons, award ribbons, and most of the graphics were created by Cynthia Lockley. Additional graphics were contributed by other chapter members or were found in various collections around the Web. These collections don't all credit the original artists, but we will try to identify them as we find them. National Register of Historic Places in the United States: Reference number 73002122.—The National Capitol Columns located at the United States National Arboretum in Washington, D.C. Photo Credit: AgnosticPreachersKid, 21 October 2008.